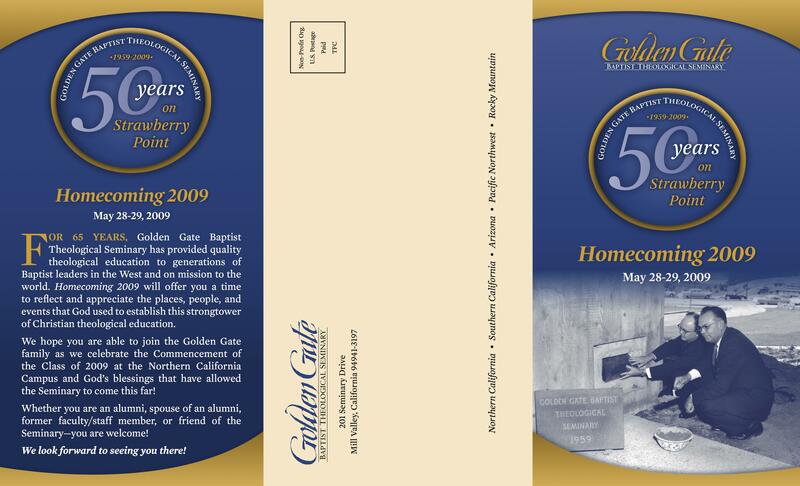 This brochure was one of several award-winning items produced to promote Golden Gate Seminary’s 50 years on the Northern California campus in Mill Valley (the area was originally called Strawberry Point). This piece was created as an invitation and mailed to alumni, specifically those who had graduated from 1949-1959. We called them our “Golden Grads” and planned a series of events to honor them. 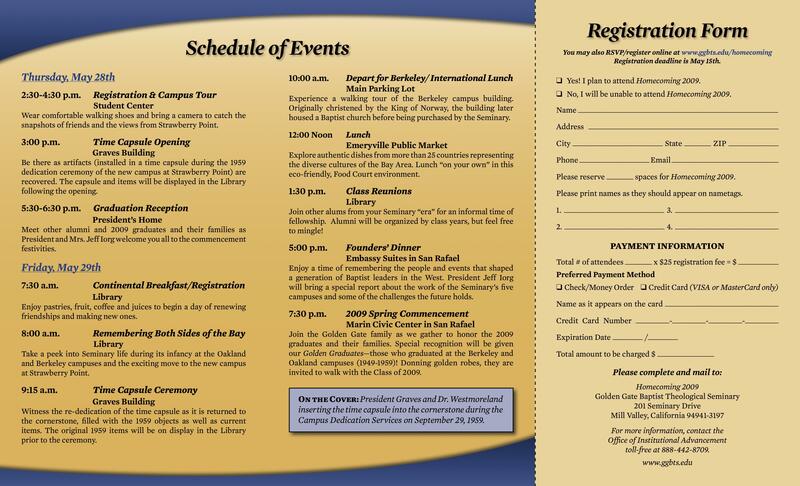 One reason we included the schedule of events in the invitation was that many invited were elderly and lived across the country, and we wanted them to know what we had planned for them. Phyllis wrote the text and oversaw production.